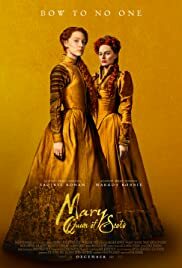 Title Card: Mary Queen of Scots was born a Catholic. As Protestants fight to control Scotland, the infant Mary is sent to Catholic France. At 15, she marries the heir to the French throne. Title Card: At 18, Mary is widowed and returns home. Scotland is now dominated by Protestants, and governed by her half-brother. Title Card: Elizabeth is England's Protestant Queen. By birth, Mary has a strong claim to England's throne. Her very existence threatens Elizabeth's power. The 1971 version was MUCH BETTER! 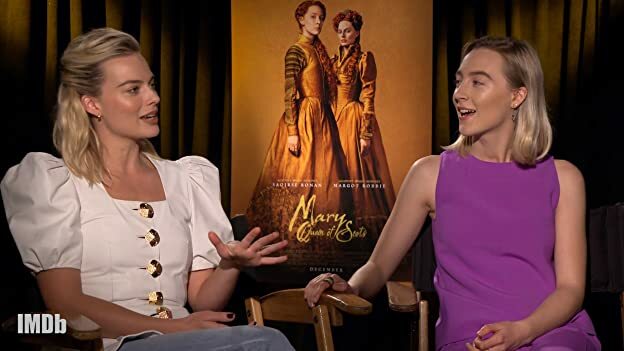 Soarise Ronan is NO Vanessa Redgrave and Margot Robbie is NO Glenda Jackson. This is such a weak, denatured telling compared to the more glorious 1971 version; and yes, admittedly it was based on Maxwell Anderson's play. But it was precisely Anderson's language that gave the 1st go-around such dramatic fireworks. This one is a lame, telegrapher version that tailors the story to the camera; and similarly, panders to PC-ness by casting so many minorities in the Scot and English courts. REALLY? It is so distracting and a travesty on history and does a disservice to the paying movie-goer by feeding into that "casting diversity" BUT WHOLLY FALSE Representation, of historical fact. The hairdos of the 2 queens are quite silly and again, dressing all the men in BLACK and just giving color to the queens' costumes betrays such self-conscious techniques that they are all doing these FOR THE CAMERA, not in the interests of historical accuracy. Quite disappointing.